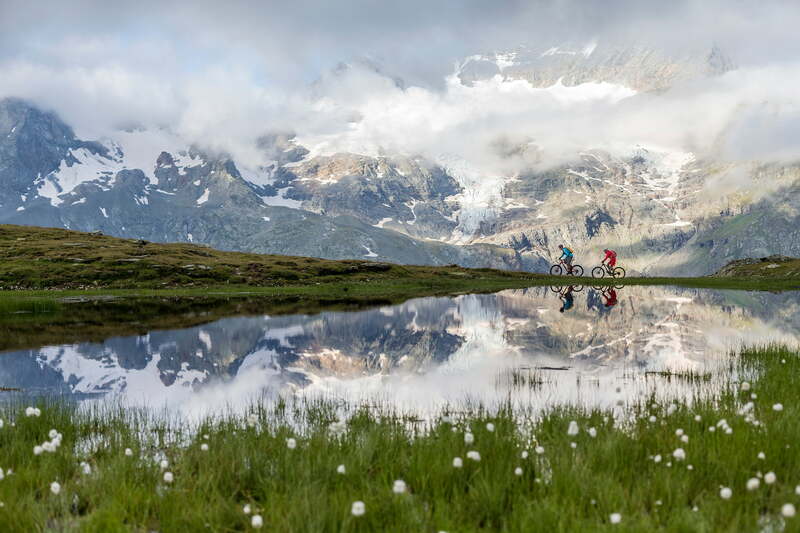 400 kilometres of mountainbiking bliss: the well-signed Engadin bike routes show you the way. Anyone seeking the most spectacular ascent, the most stunning panorama or the most beautiful trail can profit from the insider knowledge of the local experts and fortunately in the Engadin there are plenty of them, offering professionally organised tours for all abilities. What's more, special mountainbike hotels provide a fitting framework by offering extra infrastructure and services. The mountain transport facilities take bikers to sporting heights – and open up new dimensions for the really ambitious. Interactive mountainbike map with recommended bike tours. The spectacular flow trails on the Corviglia allow every mountain biker to “ride the waves”. Mountain biking on over 400 kilometres of single trails and marked routes. Here you will find yourself in seventh mountain biking heaven ‒ the Engadin’s clearly marked mountain bike routes open up a host of unforgettable experiences. For every taste and level of ability.